Emerson launched automation technology for utilities and independent power producers that rely more and more on diverse renewable energy sources and that serve the fast-growing microgrid market. 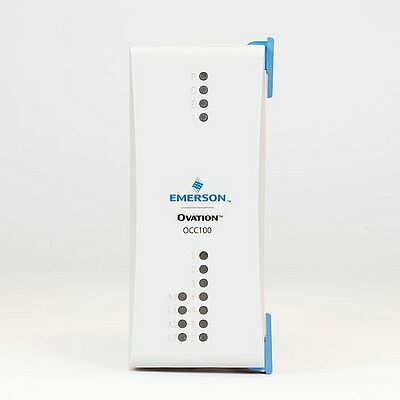 Its new, modular Ovation OCC100 controller cost effectively extends Emerson’s proven Ovation™ control technology by managing the flow of energy from various sources to ensure continuous, reliable generation for these emerging industries. This small footprint, scalable technology is also well-suited to critical water and wastewater applications. With renewable electricity capacity expected to expand by over 920 gigawatts – an increase of 43 percent – through 2022, according to a 2017 International Energy Agency report, the OCC100 controller is particularly attractive to power generators with growing and diverse renewable generation portfolios (including hydro, solar and wind) and microgrids that rely on a variety of distributed energy resources. The OCC100 offers remote monitoring and control capabilities for wind farms spread out over a wide geographic area and the ability to operate in the higher ambient temperatures associated with solar facilities.